Now I don't know about you, but if something gives me that nostalgic feeling, I'm 99% more likely to buy into it. Whether it be music, clothes or makeup, if it's giving me 90's or early 00's vibes, I will NEED it. 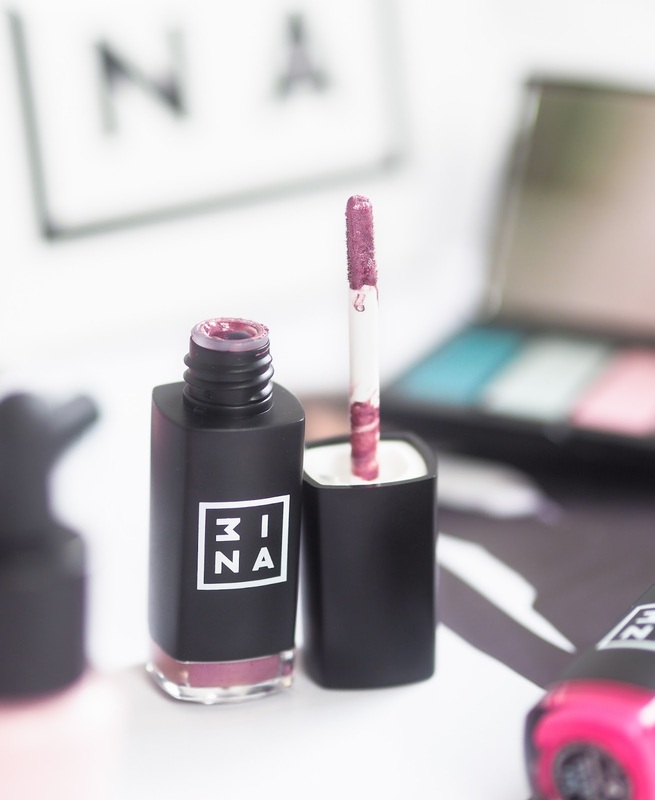 3INA is a brand I've only just recently come across, but have heard a lot about on Instagram and Twitter. It prides 3INA pride theirselves on creating fun and playful products to create some bold and fearless makeup looks, to make us feeling sassy and confident! Their latest release being the 'Just For Fun' collection, which ticks all those boxes! The collection consists of five products to take us back to those nostalgic times with some cute colours and funky packaging. The first product in the collection is a liquid highlighter in a stunning pearly pink shade. At first glance, I was a bit worried that this would look too light against darker skin tones. However, once blended out it actually has some gold undertones to it which I think would look beautiful on darker skin tones! I particularly love using this as a sort of highlight/blush combo. The gold & pink shift makes it a great two in one product for lighter makeup days. It blends so effortlessly and easily that it somehow manages to give such a lovely natural looking glow. No collection is complete without an eyeshadow palette, right? This handy little palette is such a perfect size to throw in your makeup bag, whilst still having a nice selection of colours both matte and shimmer! The pigmentation is absolutely fantastic. The first shade I wanted to swatch was the light blue at the far right as these more pastel looking shades are usually harder to perfect, but this one was spot on! What I love about this palette is that even though at first glance the colours do look a bit intimidating, they actually aren't at all. Yes they are colourful, but the shades are quite pastel and muted, meaning they won't look too wacky on your lids! Paired with some more neutral shades from my collection, this palette is great to bust out to add a light wash of colour to add some sass to an every day look. I have to admit I was a bit stumped at this product, I couldn't wrap my head around what exactly the 2 in 1 aspect was. But after researching it on their site, it was actually pretty obvious.. The pen has a dual ended tip, which can create either a thin line or thicker line, depending on how you hold and angle the tip. In terms of the formula and the actual product itself I can't fault it. It's a jet black liner that doesn't crumble or isn't 'black enough'. However, my main issue with this pen is the tip. The end is rounded, so no matter what way you angle it and draw your liner on, you can't really create that sharp pointed liner that we all love. 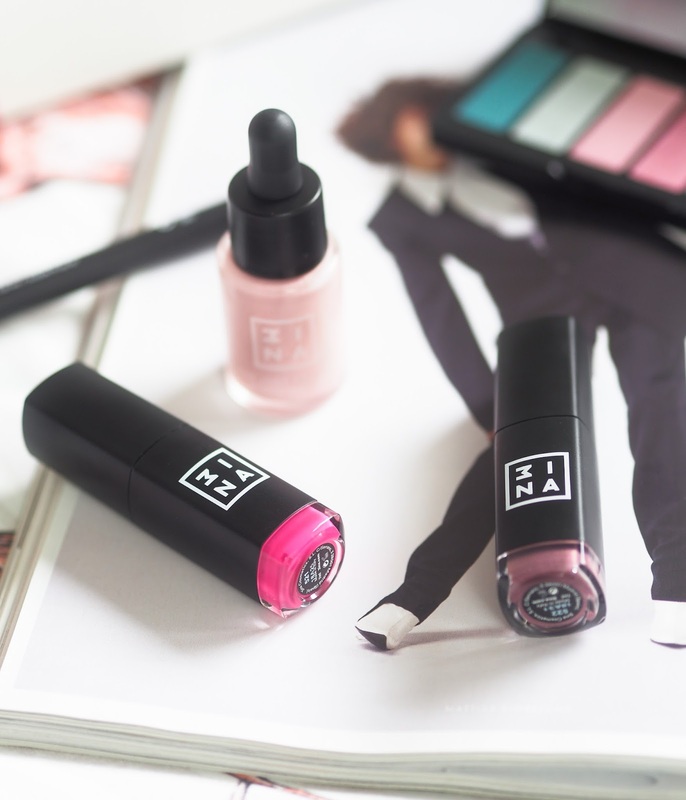 The final two products from this collection are both longwear liquid lipsticks. First we have shade '521' which is a vibrant hot pink, and then shade '522' which is a metallic purple shade. The first thing I noticed about these were the packaging. Compared to your usual liquid lipsticks, these ones come in a shorter, and thicker tube, which I much prefer to the standard longer and thinner ones. I think it makes the product feel a bit more high quality. The lipsticks are meant to be opaque, matte and long lasting.. and for the most part I agree. Shade 521 (the hot pink), is definitely just that. The pigmentation was great, and it glided on like a dream. Not to mention it has a cherry like sweet scent! Buuuut, I was disappointed with the Shade 522. This shade was not opaque at all, in fact it was very very sheer. The only way I could see this working would be to pair it with a purple lip liner. It's a shame because the 90's were all about those metallic lips! Overall I think this collection is a fabulous idea. Taking the affordable prices into consideration, I can look past the few little niggles I found with a couple of the products. My favourite product is most definitely the highlighter as the way it sits on the skin is just so beautiful! Have you ever tried anything from 3INA? Which product is your favourite? *This post contains PR samples. All words and opinions are my own. The packaging alone is adorable! But they look so good! 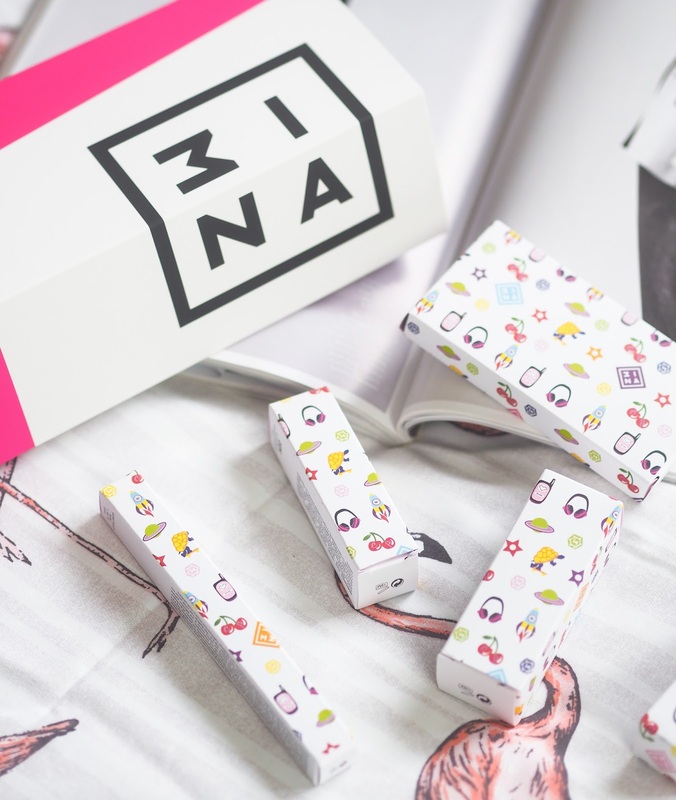 3INA is such a good brand too! I love the look of that highlighter - it is such a pretty pink colour! Such lovely packaging on this brand. I like the look of the bright pink Lippie! I haven't tried anything from this brand but I'm pretty scared of colour when it comes to makeup so I don't know if this collection would be for me. But that highlighter does look gorgeous! 3INA is quite underrated, you should have a look at their cream eyeshadows, they are stunning! How amazing is that packaging! I've heard of 3INA before but I'll be looking out for them from now on! Hell yes to nostalgia! Product lines like this make me feel so happy, the packaging is so cute, "funky" is exactly the word I'd use to describe it! The pastel shades in the eyeshadow palette are gorgeous, perfect for spring and summer! Such a shame about the aware of the Shade 522 lipstick though, a sheer lippie is never good! Omg I love the packaging!!! I am also a sucker when it comes to products filling me with nostalgia, I can't keep away!! The just for fun highlighter looks so cute and like a great product to wear in Spring/Summer! Annoying about the lipstick though, I hate when the shade is really sheer! Gorgeous photos girl!!! 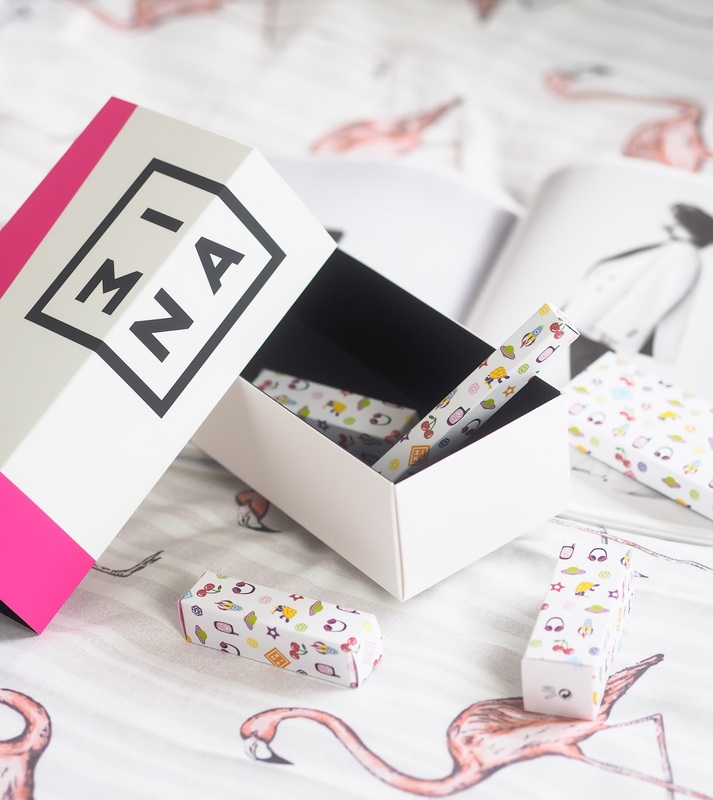 How flipping cute is the packaging on 3ina products?!? That ‘just for fun’ highlighter sounds right up my street!